Ingredients: Water, Propylene Glycol, Sodium Palm Kernelate, Sodium Stearate, Lauryl Sulfate, Perfume, Jasmine absolute, Vetivert Oil, Styrax Resiniod, Sodium Chloride, Glycrine, EDTA, Tetrasodium Editorante, Titanium Dioxide, gardenis Extract, Colour, 18050, Colour 45350, Colour 42045. This smells to me immediately of lushious, warm coconutty kind of Jasmine floral. It’s lovely, creamy, warm tropical scent to me. 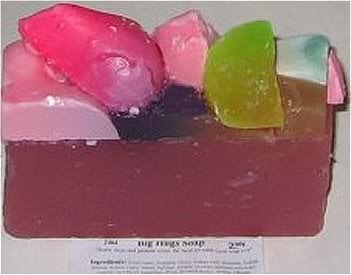 Big Hugs was made by lush to have the same scent as their “Alkmaar” soap and “Silky Underwear” dusting powder. 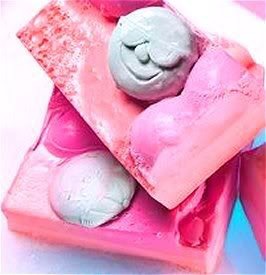 I’m so in love with this soap. Notes: “Alkmaar” perfume, “Silky Underwear” dusting powder, “Fairy Jasmine” ballistic, and “Turbo Bubble” all have this same scent. 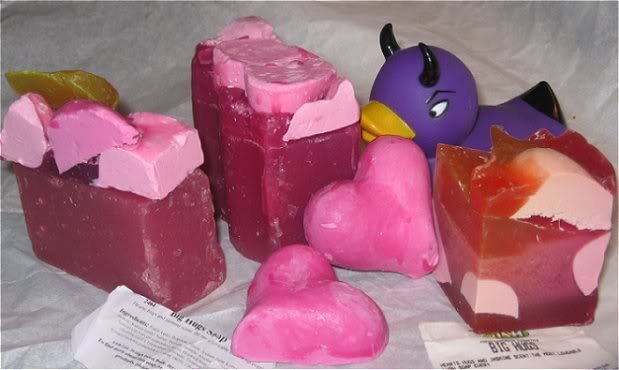 2006 Lush Times description: Hearts, hugs and jasmine scent: The most loveable lush soap ever! Give someone a Big Hug in the shower! 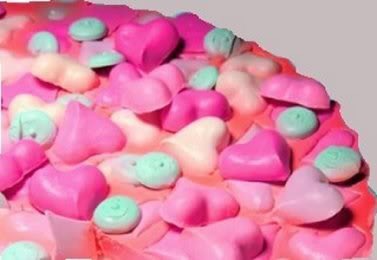 Posted on February 3, 2017 by Lushalot	• This entry was posted in Soaps, Uncategorized, Valentine's Day and tagged big hugs. Bookmark the permalink. Ooh that’s beautiful, thanks April.